Children love to explore the great outdoors. Spotting turtles, frogs, lizards and snakes in the wild is fun and can help build an appreciation of the wonders of wildlife. To help keep the experience healthy, parents and guardians should be aware that reptiles and amphibians can harbor Salmonella bacteria that are easily transmitted to people handling them. That includes wild as well as pet store varieties of these animals. 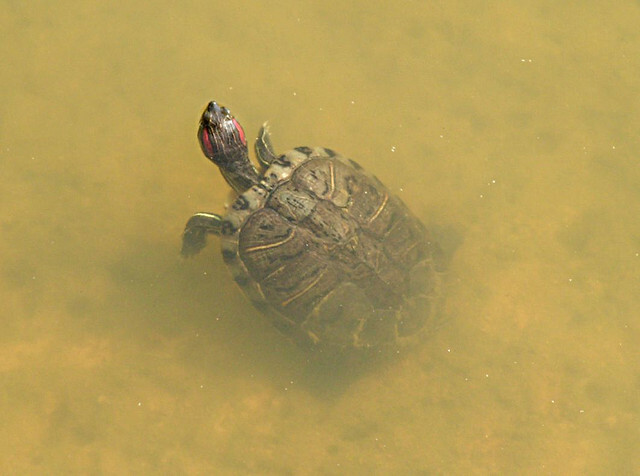 According to the US Centers for Disease Control and Prevention (CDC), Salmonella outbreaks from contact with reptiles and amphibians have caused hundreds of people to become ill in recent years; many of these outbreaks are linked to small turtles. Children under five years old are the most commonly affected, which is why CDC recommends parents prevent their young children from contacting reptiles and amphibians. CDC notes, in fact, that since 1975 the Food and Drug Administration has banned the sale and distribution of turtles with a shell length of less than four inches in size as pets. Salmonella in the Family Room? It may come as a surprise that Salmonella, a bacterium commonly associated with foodborne illness, can be transmitted by the colorful gecko or the lumbering turtle inhabiting the family room aquarium. Parents may purchase these pets for their relative ease of care, unaware of the invisible risk of Salmonella infection. Young children should neither handle these pets, nor make contact with their indoor habitats because Salmonella may be present on the animals’ skin or on any surface they touch. That includes aquariums, terrariums, cages, and water and food dispensers. If animals are permitted to roam outside of their enclosures throughout the household, any surface with which they make contact can become contaminated with Salmonella. Do not permit children less than five years of age or people with weakened immune systems to make contact with reptiles or amphibians or their habitats. Wash hands thoroughly with warm water and soap after handling a reptile or amphibian or any surface with which the animal had contact. Do not eat or touch your mouth while handling a reptile or amphibian. Do not let these animals roam freely though the household; in particular, avoid their entering areas in which food is stored or prepared. If possible, remove aquariums, terrariums, cages and containers to an outdoor area for cleaning. Wear disposable plastic gloves and avoid emptying water containers and wash water in indoor sinks used for food preparation or drinking water. If indoor bathtubs or sinks must be used for cleaning, they should be thoroughly cleaned and disinfected afterward. Use a chlorine bleach solution to disinfect a sink, bathtub, or other place where habitats are cleaned. To prevent cross-contamination, and if animal bathing is in order, bathe the animal in a small plastic tub or bin that is dedicated for animal use only. Wash any clothing that contacts reptiles and amphibians or their indoor habitat. Older children can be taught to handle and care for reptile and amphibian pets appropriately. Parents are the best judges of when their children are ready to undertake those responsibilities. As for the under-five set, an outdoor excursion into the wild is the perfect setting for enjoying frogs, turtles, lizards and snakes. But at that tender age, it is best to appreciate the visual wonder while avoiding the touch. The Pet Industry Joint Advisory Council offers a downloadable poster on Healthy Herp Handling at: https://www.pijac.org/HealthyHerpHandling. 1 This guide is based on CDC recommendations.